It is an electronic version of our Just Culture Algorithm™ and a great deal more. The Just Culture Assessment Tool (JCAT) is your answer to hardwiring Just Culture into your organization. It’s the tool that gives every manager a consistent and transparent process for documenting and evaluating the quality of choice within a breach of duty. Eliminate the guess work and create the culture of learning that comes with the use of JCAT. Scroll to learn how and discover other features. Be confident that your assessment is accurate to the Outcome Engenuity Just Culture model with the built-in video advisor featuring David Marx, CEO of Outcome Engenuity and engineer of the Just Culture Algorithm™. The help tools and built-in advisor will guide you and your managers in every step of the assessment. 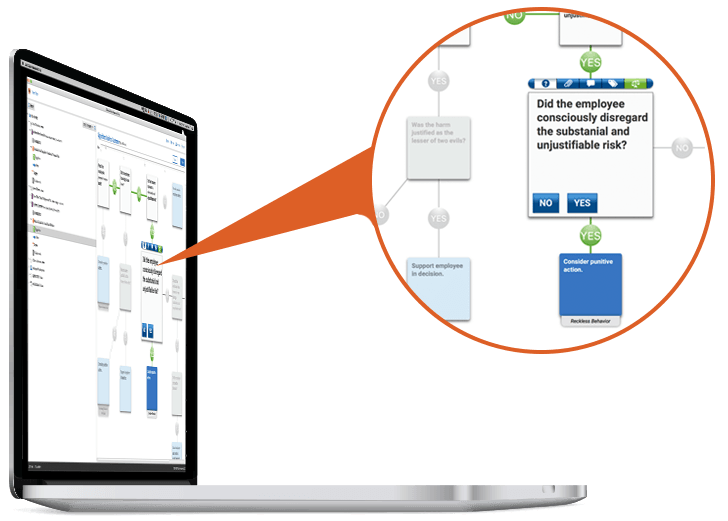 Export the data analytics across all or a selection of assessments and realize the patterns of your safety culture in detail. Current version exports to data spreadsheet for easy filtering and visualization in a number of external applications. Since 1991 the Just Culture Algorithm™ engineered by David Marx, has been the centerpiece of successful workplace culture change and improvements for industries where reliability and safety are of great importance. The Just Culture Assessment Tool is the culmination of the Just Culture Algorithm™ in electronic form where it delivers it’s proven strengths and more into the hands of your leadership. ▸ As a managerial tool, it reinforces a consistent model of justice in response to errors, duties, and behaviors, all the way from the floor managers up to, department, location, organization, and system-wide leadership positions. ▸ When used by both departments, it unifies the objectives of the safety leaders and the human resource leaders, giving both what they need to support the Just Culture learning and improvement environment. 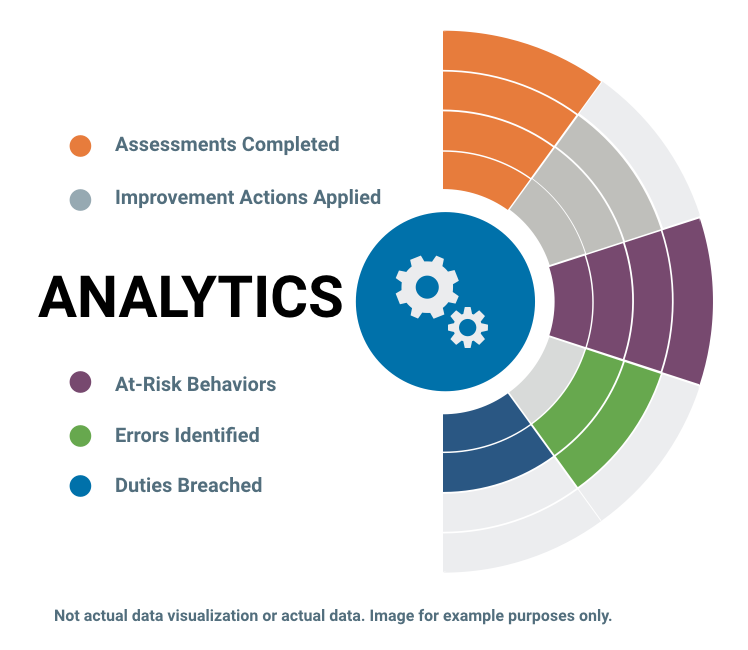 ▸ Analytical Data provides a valuable look at the real numbers of your safety culture and behavioral choices that support or breach your expectations. ▸ Reduces potential user errors in the use of the algorithm + improves accurate assessment end data. ▸ Supports a legal friendly compliance in detail. ▸ PDF report is a logical and complete reference through every step of the assessment. For you as a leader, it’s your best path to ensuring your managers are following the tenets of a Just Culture throughout their daily work. If they see an event or behavior that may be adverse to the employee, it’s their job to document their thinking with the JCAT. It’s reviewable, auditable data for you as an organization to use as a measure of your shift to a more open, fair, and just culture.